Has anyone mounted one there yet and if u did , did it work ok and if possible can u place a pic of it ?? 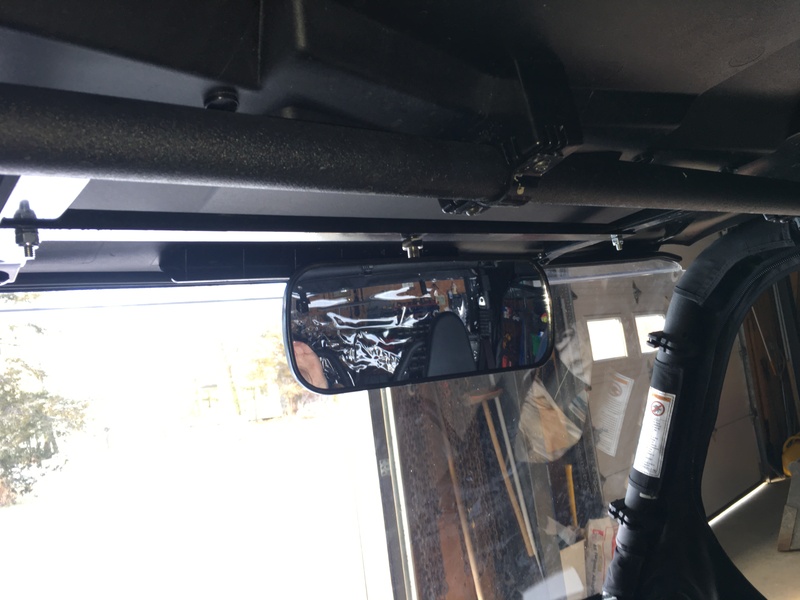 I used a roll bar mounted kohl-in unit from my old Mule and just mounted it to an L bracket that’s bolted to the roof mounting bracket, don’t have a pic handy at the moment though. 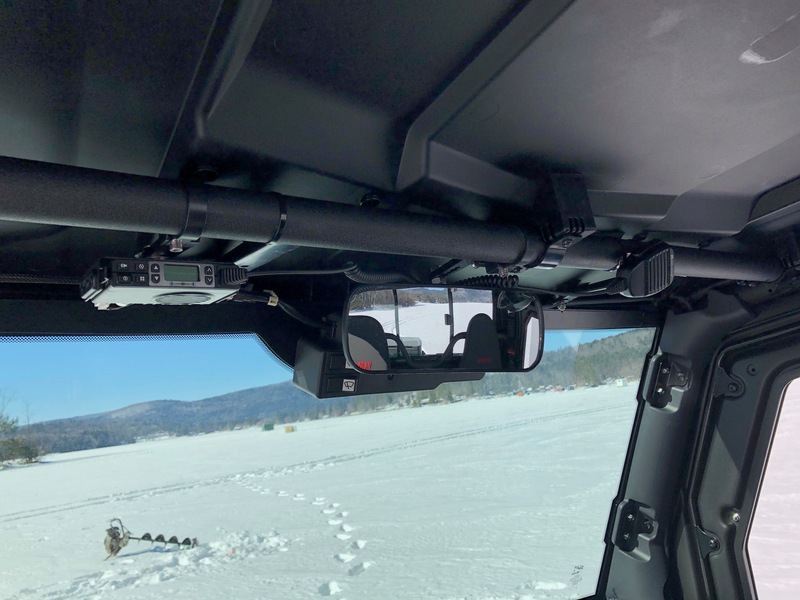 I got the mirror offered by Yamaha (Assault industries) which mounts to the roll cage but I found it intruded too much into the cabin. Hit my head on it many times when getting in. So I took it off the roll cage and mounted it onto a piece of 1” channel which I trimmed to fit onto the roof supports. I used existing holes in those supports to bolt it in place. I’m really happy with the location, now out of the way and improved rear view angles. Last edited by John; 03-31-2019 at 07:54 PM. I used a little goop when installing it and it's as good as my cars rear view mirror. love the creativity. Hint- turn the mounting bolts up with nuts on top so the open bolt is not exposed. Or you could grind them off a little and use an Acorn nut. Sometimes I will just mark them and cut them off with the keeper nuts like you have too. Sometimes moving around in cab without a helmet even just working on it, you may discover that was a good move. Last edited by VTpoolman; 04-01-2019 at 11:15 AM. With that bar, you could hang lights as well now. Yellow down firing on the trail. Thanks Jim. Great minds think alike! The picture was taken when I first fit-up the mirror. After tightening everything, I finished the job with a cut-off disk to remove the excess bolt. It doesn’t look at all dangerous now. Side view, rear view or both? 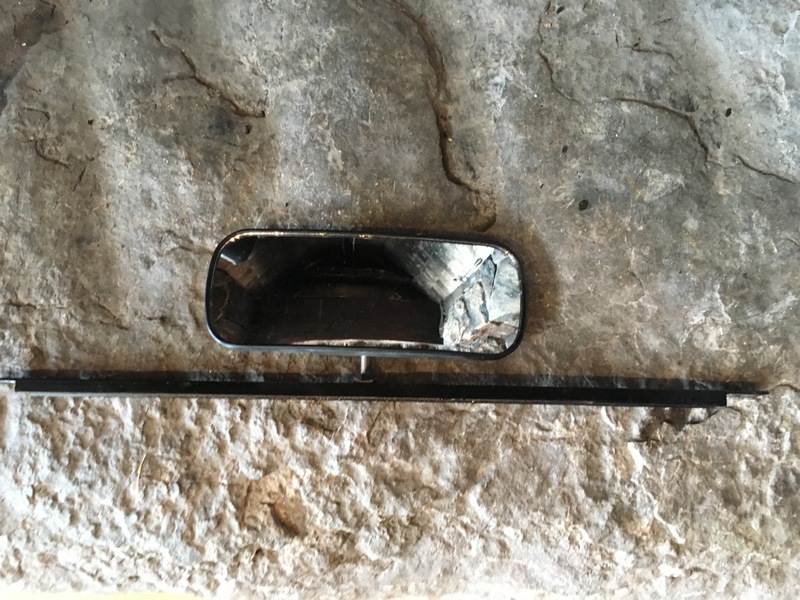 Center mirror vs. Side Mirror?